July, as it always does, reminds us that summer. is. here. It’s been a great month though, with a boom boom bangin’ July 4th a couple of weeks ago. Let Freedom Ring! 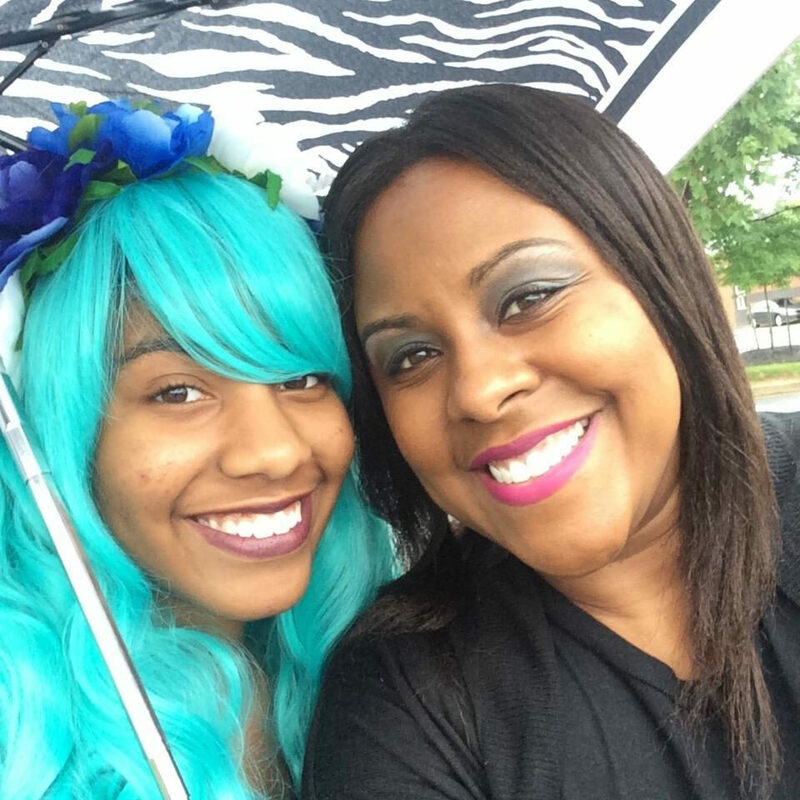 Speaking of freedom, my daughter wanted to wear her blue cosplay wig to express herself on the 4th. Earlier in the day, she was pumped and excited to wear it, but when the moment came to step out in public, she was so nervous. She tried to change her mind but I wouldn’t let her. I got her out of the house but she hesitated when getting out of the car. When she did get out, I thought she was going to hyperventilate—but she didn’t. She stepped into freedom and it felt good! To be honest, I was a little nervous at the thought of walking around the grocery store with a blue-haired child lol. But I wouldn’t let her back down. It was time she showed the world a part of her true self. “You’re a great mom,” she said. I smiled feeling all special and cool. She and I are very similar because we are both dramatic (the good kind of dramatic—haha). It’s something that had to be brought to our attention because we didn’t realize it at first. I was told that the way we act things out and take things to another level is just not normal (haha)! So while she was being anime blue, I was Wonder Woman—well sort of. 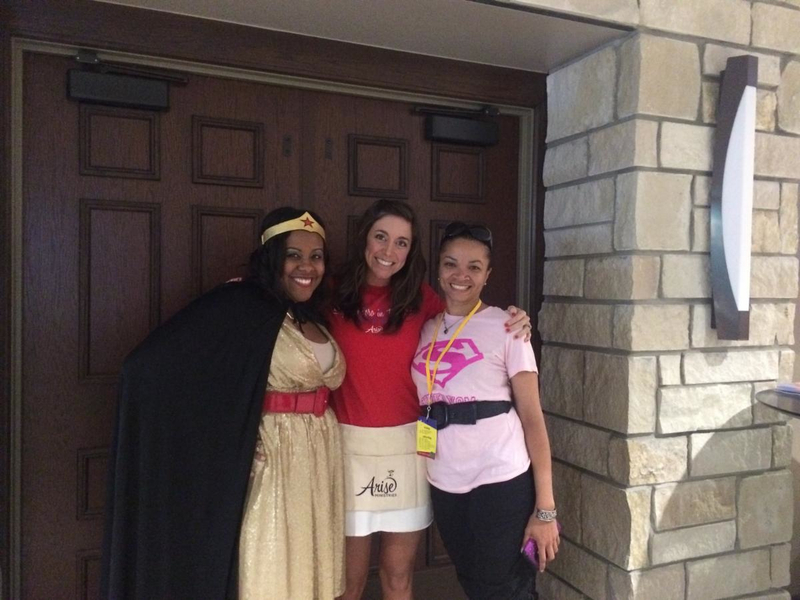 A few weeks ago, I was honored to speak a second year in a row at the single moms conference, Survive ‘N’ Thrive in Oklahoma. I invented this outfit to fit the superhero theme. Me + a theme = DRAMA. I had to go all out! (I’m dramatic remember?) The best part is that I didn’t spend one dime on this outfit because it was already in my closet (leave me alone). 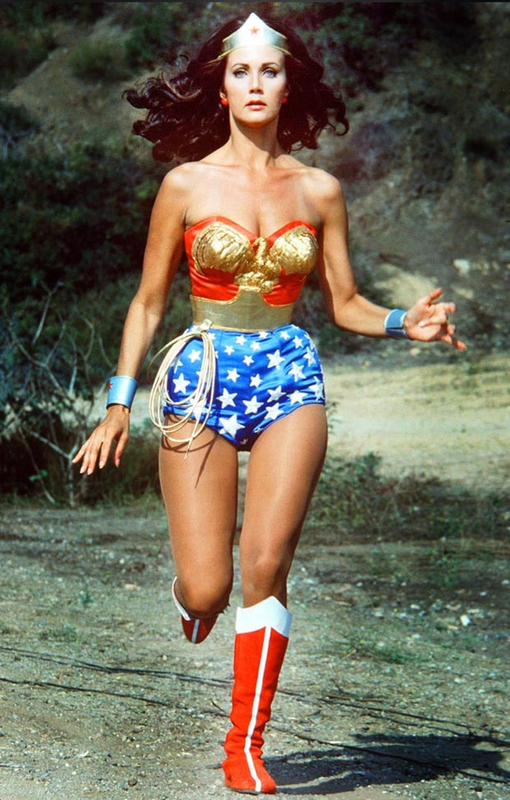 I looooved the TV show Wonder Woman, played by Lynda Carter, when I was a little girl! She had it all: Beauty, brains, strength and not to mention that gorgeous figure! Who didn’t want to be her?!? Her Amazonian-training gave her extraordinary skills in strategy, hunting and fighting. She had lots of protection including the Lasso of Truth, a golden belt, a pair of indestructible bracelets, and a tiara which served as a weapon. She was a powerful, strong-willed woman who would never back down from a fight or a challenge. Yet, she was a lover of peace who would never seek to fight or escalate a conflict. 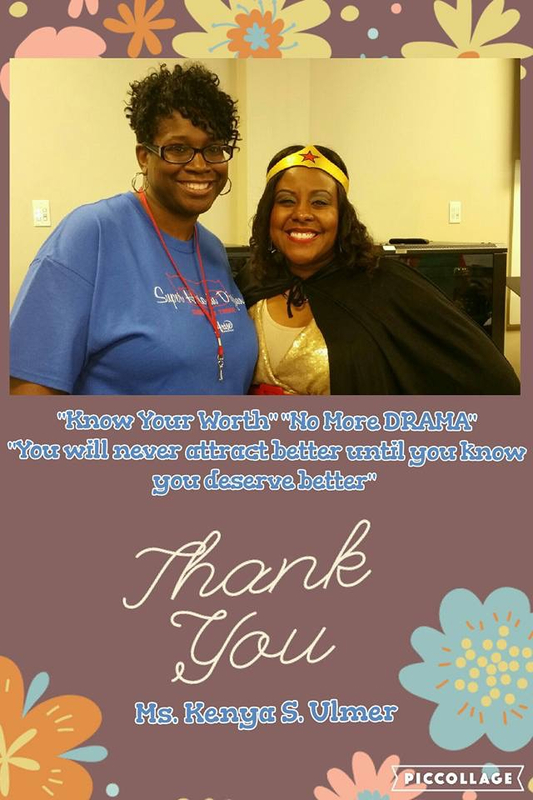 A touching “Thank You” social media shout out from LaTonya, who had a breakthrough during my session in Oklahoma. I noticed 3 things about Wonder Woman that we could learn from today. 1. Wonder Woman knew she was different. She didn’t run from it, instead she embraced it. Yes she was in disguise, but when the time was right she got her twirl on and transformed! Who needs your help? Who is waiting on you? You’re trying to fit in and you’re not designed to. Different will get you the job. Different will get you the contract. Different will win the contest. Different will draw them to you. Different will get you the scholarship. Need I say more? Stop faking and procrastinating and stand in your power. 2. Wonder Woman was not afraid to use her gifts. She did what she had to do to get equipped. When it involved being rough, she went to work and didn’t back down nor was she afraid. Some of you know you have power, but you won’t use it. You keep it hidden because of what people might think or say. You watch others come along and do what you know you were called to do. The enemy has had control of your mind for long enough. Stop living a lie and start taking care of business! God’s agenda always comes first. 3. Wonder Woman knew where her true power came from. Do you? Your power comes from God almighty. We need to be reminded that the same power that raised Christ from the dead is the same power that’s in YOU. Isn’t that good news?!? That’s something to be excited about! You can accomplish anything with Jesus as your friend. You’re simply unstoppable! When was the last time you used the Word of God as a weapon against the enemy? It’s time to fight; today more than ever before. Who’s ready to free? Who’s ready to slay by unapologetically standing in their greatness by using their Holy Ghost gifts for the Kingdom?